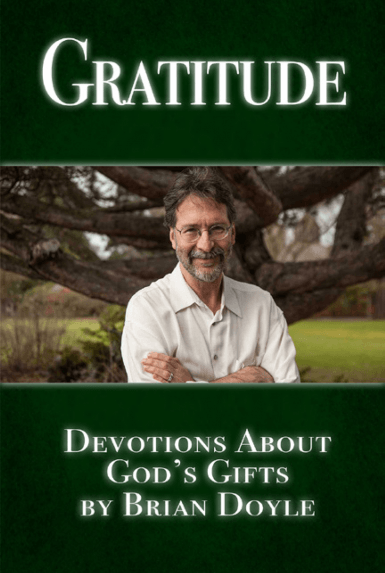 With Gratitude... “The lyrical way in which he captured the beauty and delight of love and life were enchanting.” These words by Jenny Ediss of Los Angeles, echo the sentiments of many who got to know Brian Doyle through the 101 devotions he published in Daily Guideposts from 2001 to 2018. This collection brings together 15 of those devotions. In each, Brian reflects on a gift from God. He finds cause to be grateful in the expected places – in fatherhood, in a lasting friendship. And he seizes unexpected opportunities for gratitude – overhearing the accidental poetry in a passing child’s remark, watching a raccoon wage battle against an inflatable pool.